Abortion isn’t a topic which gets a lot of talk-space in New Zealand politics, but that may change this year with the Green Party unveiling a staunchly pro-choice Women’s Policy which includes decriminalisation, guaranteed access, and support for pregnant people no matter what they choose to do. In any case, it’s created a lot of discussion, especially over at The Standard. I’ve made a few rather long comments there, and have collected some key points here for future reference. It might be a little incoherent, so apologies in advance. Is there support for abortion law reform? Yes, if you just walk up to people out of the blue and say “Let’s kill babies in the womb, good times!! !” you’re probably going to get a negative reaction. But, shockingly, that’s not how the discussion goes. Alison McCulloch did a road trip through NZ to promote her book and talk to people about abortion, and she said that many people were quite happy to discuss the issues, and very interested to learn that abortion is still a crime in NZ. Every time I’ve seen decriminalisation raised in a political context (i.e. by the Greens this week and at Labour Party conferences) there’s always a few people who don’t realise it’s still a crime. Once we get that message more widespread, I’m sure there’ll be a lot of will to change. A lot of people use statistics about how many abortions are performed in NZ – about 15,000 per year – but it’s a really insincere argument. A number is a number. You can’t make any assumptions about whether that’s too many, not enough or just right until you look at the circumstances of people getting, or not getting, abortions. Until Southern DHB began offering abortion services at Southland Hospital last year, anyone in Invercargill or Gore who wanted to get an abortion would have needed to travel to Christchurch and put aside 5-6 hours to be at the Lyndhurst clinic. Do you really think every unwilling pregnant person in Southland would have had the resources or ability to do that? 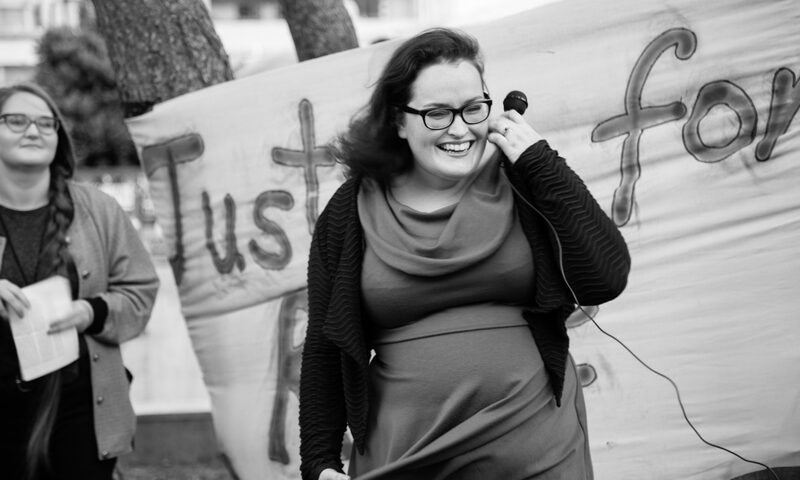 There are still no certifying consultants or abortion providers on the West Coast. Do you think it’s easy for a woman – who probably already has children, or work, or can’t tell other people her plans – to get over the Southern Alps for at least two certifying appointments and a procedure? If you argue for the status quo to continue (or, like Judith Collins, that the status quo is “working”), you are arguing against pregnant people having a legal right to end their pregnancies, or the access to do so. The meme that women are just lounging around the house pregnant and then go “Oh, whoops, I don’t want a baby after all” halfway through is an anti-abortion myth. Unfortunately, things go wrong in pregnancy and late-term abortions are sometimes required to save lives (yes, I know, how ironic 🙄 ) And sometimes – because of archaic, condescending processes like we currently have in NZ – people don’t have access to abortion services earlier. The irony is that policies like the Greens’ will make it easier for people to get early medication abortions, long before there’s any argument to be made about whether or not “it’s a baby”. So if you really oppose “unnecessary” 20-week abortions, you should support this policy. To be a little harsh – if you were a Greens supporter already and this policy has changed your mind, I venture to suggest you hadn’t been paying a lot of attention to Green Party policy. They’ve had liberalising our abortion laws on the books for years.